Many of us have had our lives transformed through the Paleo Autoimmune Protocol (AIP), including Robb Wolf who has reversed ulcerative colitis. While it's not yet a mainstream healthcare approach, it's gaining momentum and visibility worldwide. 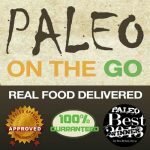 It's been reported in mainstream news outlets like USA Today, and Sarah Ballantyne's book, The Paleo Approach, became a New York Times Best Seller. At the same time, though, we’ve forgotten a lot of the pioneers who did the research we’re using in our own health journeys today. I invited Robb onto this podcast to help us honor them. Robb was doing paleo in the 90's when very few people had heard of it. He became Loren Cordain‘s graduate student and delved into the research by his side. 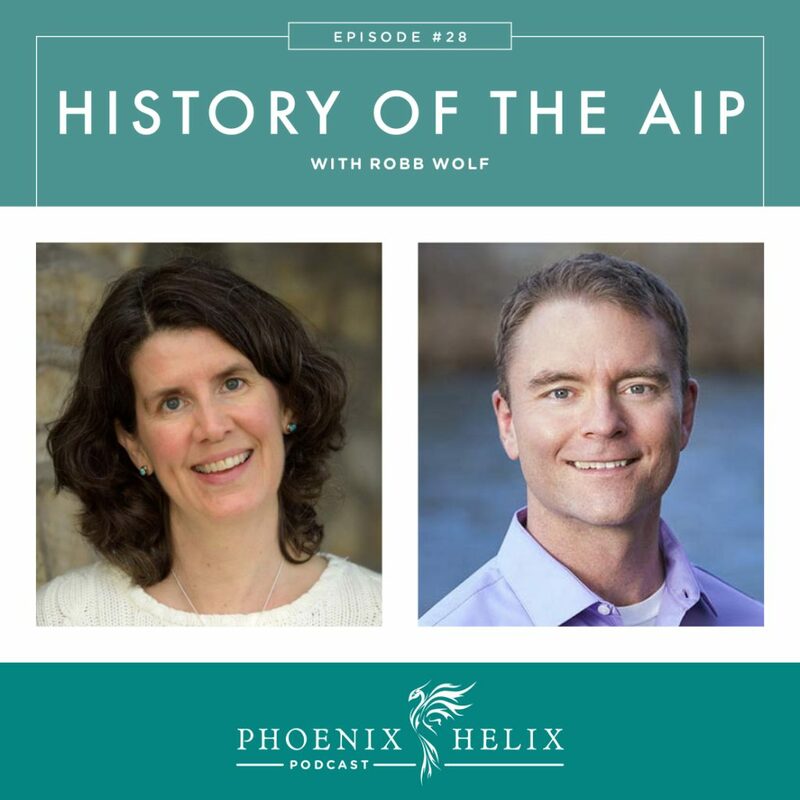 Loren is considered “the grandfather of the AIP.” Today, we'll learn more about Robb, Loren, and the other researchers who first discovered the power of diet and lifestyle to reverse autoimmune disease, as well as the ones proving it through clinical trials today. Robb is a former research biochemist and one of the world’s leading experts in Paleolithic nutrition. He’s the author of the NYT bestseller, The Paleo Solution. He has one of the most popular podcasts in iTunes. He also understands autoimmunity, having reversed ulcerative colitis himself. At age 26, his ulcerative colitis symptoms were so bad that the doctors suggested bowel resection. Robb felt close to suicidal. Due to nutrient malapsorption, he lost 40 pounds off an already lean frame. He got down to 135 lbs at his lowest point. Today, he's 43 years old, and in great shape. He feels good as long as he doesn't get exposed to gluten through cross-contamination. That will cause a flare of both gastrointestinal and neurological issues. He also watches his glycemic load and notices brain fog develop if he eats too many carbohydrates. Robb has noticed that stress, lack of sleep, and excessive travel can all have a dramatic negative impact on his health. When faced with lifestyle challenges, he tightens up his diet. When the lifestyle piece is in place, his health and digestion are at their best and he has more leeway with food choices. His mother had health problems throughout his childhood. She went into the hospital with multiple organ failure when Robb was in his twenties. At that time, she was diagnosed with lupus, rheumatoid arthritis, Sjogren's and celiac disease. Robb was never able to get his mother to change her diet. His mother-in-law also had rheumatoid arthritis and treated it through the conventional method of immunosuppressant medication and surgeries. She died due to RA complications following physician mistakes made during an ankle surgery. Robb met his wife 3 months later, and it haunts him that he didn't meet her (and her mother) just a year earlier. Their experiences motivate Robb's passion to educate the world about the paleo autoimmune protocol (AIP). Boyd Eaton – A physician who wrote a paper in 1985 for the New England Journal of Medicine, entitled Paleolithic Nutrition. He expanded his theories into the first book on paleo: The Paleolithic Prescription. Loren Cordain – Found Eaton's paper which inspired his own research into ancestral health. While his Ph.D was in exercise physiology, he became a self-taught expert in evolutionary biology. He published articles in top-tier scientific journals in multiple disciplines, which is very rare. His broad research and vision led to the creation of the paleo autoimmune protocol. Cordain is the author of the books The Paleo Diet, The Paleo Answer, The Paleo Diet for Athletes and The Real Paleo Diet Cookbook. Robb Wolf – Became Cordain's graduate student and assisted in some of the research. 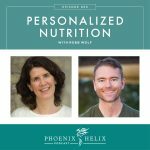 This experience led to his career as a leading educator in the paleo movement. Robb was the first person to publish information about the AIP in his book The Paleo Solution. Staffan Lindeberg – A physician and researcher who spent time with the native Kitavans in Papua New Guinea. He wrote the first textbook on evolutionary medicine: Food and Western Disease. 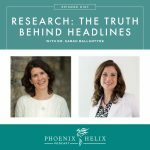 Sarah Ballantyne – A research scientist with autoimmune disease herself, she read Robb's book and delved into the research. The result was The Paleo Approach, the first book written 100% about the AIP. Terry Wahls – A physician with multiple sclerosis, she reversed her own disease through The Wahls Protocol and is now conducting the first human clinical trials into the power of diet and lifestyle to reverse autoimmune disease. Robb's list of other scientists to thank: Fritz Muskiet, Pedro Carrera-Bastos, Maelan Fontes-Villalba, Lynda Frasetto, Aaron Blaisdell, Mário Simões, Pedro Carvalho, Sérgio Veloso, Daniel Boullosa, Oscar Picazo, Alejandro Lucia, Cesar Chaves, Custódio César, Fernando Mata Ordoñez, Marcelo Carvalho, Marcelo Rogero, Nuno Pimenta and Vitor Hugo Teixeira. Resource: Paleo research archives compiled by Loren Cordain. Update 2018: Here's a great timeline by Autoimmune Wellness of how the community has grown over the past few years. We need both, and their work complements each other. Research provides the foundation and also brings scientific credibility to the paleo movement. Education spreads the word, encouraging the 1:1 self-experiments that are changing lives, in turn driving more interest and funding back into the research. 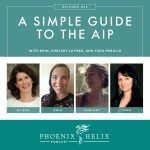 If he meets someone with autoimmune disease, he always tells them about the AIP. Responses vary from openness to anger. He's been educating people for 17 years now – 1:1, in groups, through his book and podcast, and over the internet. As a messenger, he's been “killed” many times, but it's the people he has helped that inspire him to continue. The clinic completed a pilot project working with the police and fire departments in Reno. They implemented the paleo diet and lifestyle with officers at risk for diabetes and heart disease and saw marked improvements in their health. They estimated they saved the city $22 million dollars in healthcare expenses. They then asked Robb to collaborate and help them expand their program. Robb taught them about gut health and immune/autoimmune issues. Now, the clinic uses evolutionary medicine to treat a wide variety of health conditions. Robb has been working on The City Zero Project for the past few years, and it's almost ready for release. It will combine a practitioner certification program with a medical technology platform that will allow Specialty Clinic's success to be duplicated across the nation. Robb's goal is to literally transform medical care in the US and around the world. Robb has experienced longstanding carbohydrate intolerance. When he eats a ketogenic diet, he feels great: his bloodwork is optimal, his energy levels are good, and he feels mentally alert and focused. When he eats more carbs, he feels horrible: his blood sugar becomes unregulated, he develops brain fog, feels “hangry” between meals, and even experiences vision problems. Grace Liu from the blog, The Gut Institute, believes that if he fixes his gut, he can fix his insulin resistance and tolerate carbohydrates well. Robb is not convinced this is true. He has been trying to “fix it” for 2 years, to no effect, and is starting to believe that his personal health history has set up his body to simply not tolerate carbs. He'll keep experimenting under Grace's consultation for another 6 months. After that, if nothing improves, he's going to stick with a ketogenic diet and focus on making it as nutritious and microbiome-supporting as possible. Complicating factor: Robb picked up a gut bug while traveling 1 month ago. The symptoms are debilitating, and so far it has been resistant to antibiotic treatment. His first goal is to clear this pathogen, and then continue his gut healing experiments. You can keep up with Robb and his work through his website and podcast. If you sign up for his newsletter, you receive a 24-part email series on applying paleo principles for optimal health.